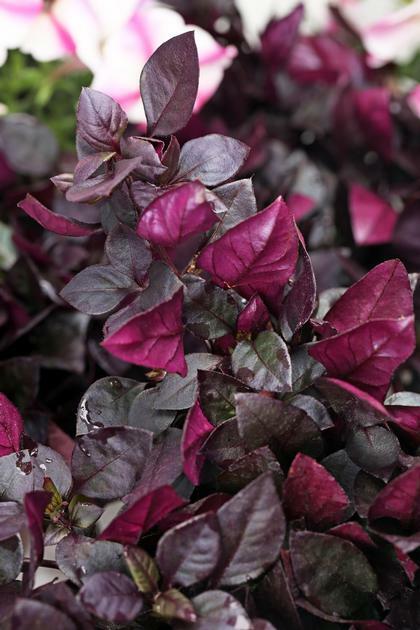 Dark purple foliage is almost black on top and bright ruby on the bottom, giving this vigorous upright, yet spreading, plants visual interest. Extremely heat tolerant this plant is also naturally compact and mingles well in mixed containers. Note: Foliage is darkest under full sun conditions.